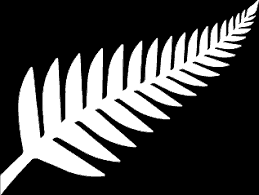 To all of our friends, colleagues and clients impacted by the tragedy in Christchurch in New Zealand on 15th March. All of us here at GCAIS are praying and thinking of you. If numbers is your thing, we need you! If you love to be outdoors, walking and spending time with like minded people, come and join us to lead our walking groups. Our group. Gymea Easy Pacers meet every Tuesday at Cronulla (9:30 to 11:00am). 95249559 aged@gcais.ngo.org.au or, register directly with Heart Foundation Walking walking.heartfoundation.org.au. ENTER 2227 in postcode to choose walking groups at Gymea. Our walking groups are about working out to have fun and be healthy. In our groups you are surrounded by like minded people, no matter how fast you are we will be there with you when you cross that finish line. Are you up for a day at Cordeaux Dam? Join us on a day trip to Cordeaux Dam, enjoy great company and have a lovely lunch at the picnic area. BYO Lunch or pre-order a picnic hamper available for purchase for $30 couples or $20 per person. COST $20 over 65, $30 under 65, EFTPOS over the phone or front desk. Management and staff of GCAIS are very proud to be in the presence of Rob Lindsay who received a Medal of the Order of Australia (OAM). Rob received this recognition for service to the community through social welfare organisations. At GCAIS, he co-founded and is the volunteer co-ordinator for the ‘Drivetime’ program, which he helped design and deliver for the NRMA. Rob has also been involved oi other programs that support newly arrived refugees such as the Homework Club. Go here to read more about Rob’s recognition. We are pleased to announce that Tradies has again supported our Drivetime Learner Driver Mentor Program. This program supports Refugees in gaining their P1 driver’s licence. Without their support, this funding that contributes to supporting independence, inclusion, participation and transitions to employment , members from this Community may not receive such a great opportunity. We thank Tradies for their continued support and commitment to our Community. This guide has advice and safety tips to help people in our community aged 65 or over make safer choices when driving, riding, walking, using a mobility scooter or catching public transport. It profiles the changes to our health that can come with age, and how conditions such as vision impairment and dementia can affect our abilities as road users. Checklists are included to help develop safer driving habits and make better choices when walking and crossing the road. The guide also explains the NSW older driver licensing system, including information for those who want to transition from full-time driving to other transport options. Whether you’re currently experiencing changes to your mobility or planning for the future, this guide will help you stay independent and safe. I am very proud to report that Gymea Community Aid and Information Service have again been announced as a Finalist in the 2018 Local Business Awards in Sutherland Shire. We would like to thank all of those who voted for us and have joined us on our journey to understand what we are doing well for our Community and, what we can do to improve. Getting through this first stage into the finals was our first goal and we have achieved that with your help!!! GCAIS is proud to have joined forces with some of Australia’s leading businesses, sporting bodies and NGO’s to support the “Racism. It Stops With Me” campaign. Our organisation has committed to preventing racism by pledging to undertake activities in support of the campaign. “Here at GCAIS we open our doors to people from all walks of life and are pleased to be a supporter of an initiative such as this which reflects our organisation’s purpose of celebrating inclusiveness, independence and participation”. Joanne Cracknell, General Manager . The national “Racism. It stops with me” campaign, which is being led by the Australian Human Rights Commission, has been developed by a partnership of government and non-government agencies. Not wanting to carry around as much as cash or, make the effort to ensure you have the right change? We are pleased to be able to offer our Clients, access to EFTPOS when making payments for day excursions and group outings. EFTPOS is now available at our front desk and, through our group leaders when participating in day groups. Debit, Visa and Mastercards are accepted. Please see your group leader for more information, email aged@gcais.ngo.org.au or, call Rita Napolitano or Joanne Cracknell on 95249559 .